Join thousands of player worldwide who share the same driven passion of making hockey happen. HC wants to grow the roller community around you! But it all starts with a little help from the existing community. Help promote the sport we all love on by joining Hockey Community! Here’s what you can do on Hockey Community. Goalie bail on you? Request on HC and we'll work our magic to get you one as soon as possible. Or are you a goalie looking to get more play time? Join HC and we guarantee you more hockey than you can imagine. Discover new and used hockey gear all in one section. Or simply sell any unused gear sitting around in your garage! Join various events such as pick-up games, tournaments and more, all organized by members in the community. Do you run drop-ins but need players? Organize and invite players to your events running events on HC! To join. 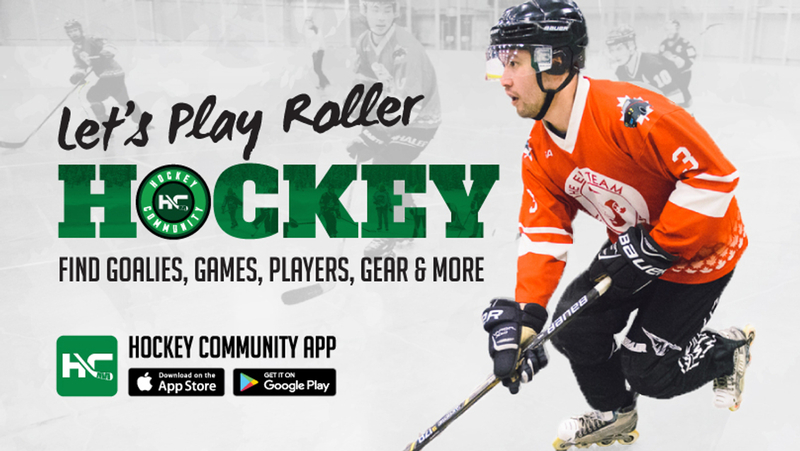 Head on over on the website or find Hockey Community on your app store for Google or iOS devices.